A Charming Victorian Holiday resort which caters for young and old alike, like a tale of two cites on a miniature scale. We have two sides to the town split by an almost invisible vertical line Old and New Town centering on the Towns green which faces out to the Wash. Towards Old Hunstanton from the green you can take a leisurely walk through the Esplanade gardens along the green above the cliffs towards the lighthouse and you are now in Old Hunstanton. Alternatively a more adventurous trek under the cliffs exploring the vast rock pools, chalk and Carrstone cliffs to arrive at the beautiful sand dunes of Old Hunstanton and rows of beach huts banked and supported by the marram grass. Excellent peaceful hideaways for picnic's and tranquil relaxation. This is the quiet end, Old Hunstanton village boasts a beautiful duck pond and St Marys Church well worth a visit especially if you have some left over bread for the hungry ducks. 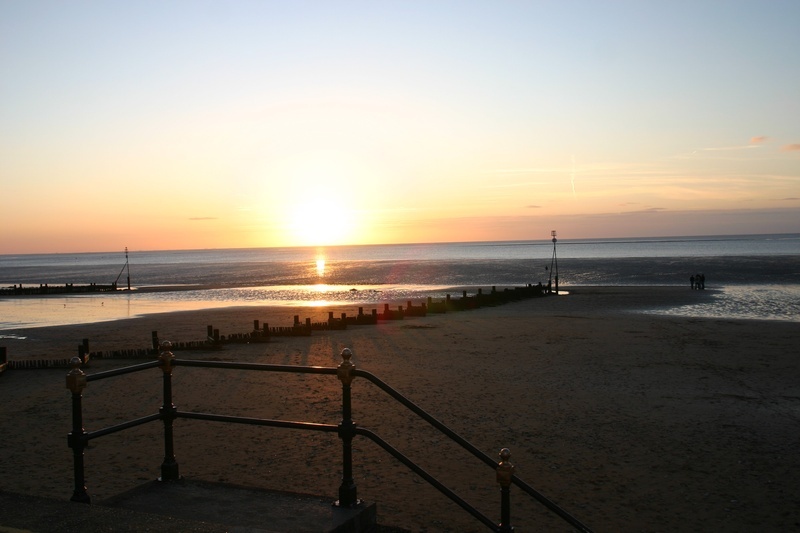 Old Hunstanton is a relatively quiet place and does not offer places of amusement only the natural kind , wild places however it has some excellent pubs and hotels to eat or drink and a very popular antiques and craft centre, lots of pretty original carrstone cottages. New Town starting from the green heading towards Heacham offers many different attractions for all ages a walk along the prom uncovers many local seashore outlets candy floss, ice cream units etc also crazy golf Oasis leisure center the sea life centre and right at the far end of Town our traditional fun fair. 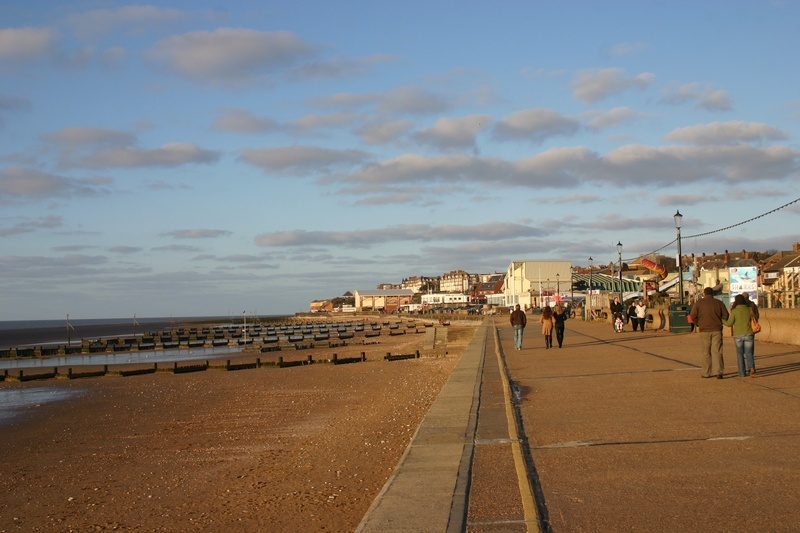 The Town of Hunstanton itself is relatively small but has much to offer from the Princess Theatre a good selection of shops and Super markets an indoor market Lots of cafe's pubs Hotels and fast food outlets.